Our university has a history of activism and an international reputation for engaging in social issues. Especially in the past two years, UCSD has experienced a series of events that have highlighted issues regarding student-faculty activism, responsibility, and ethics. 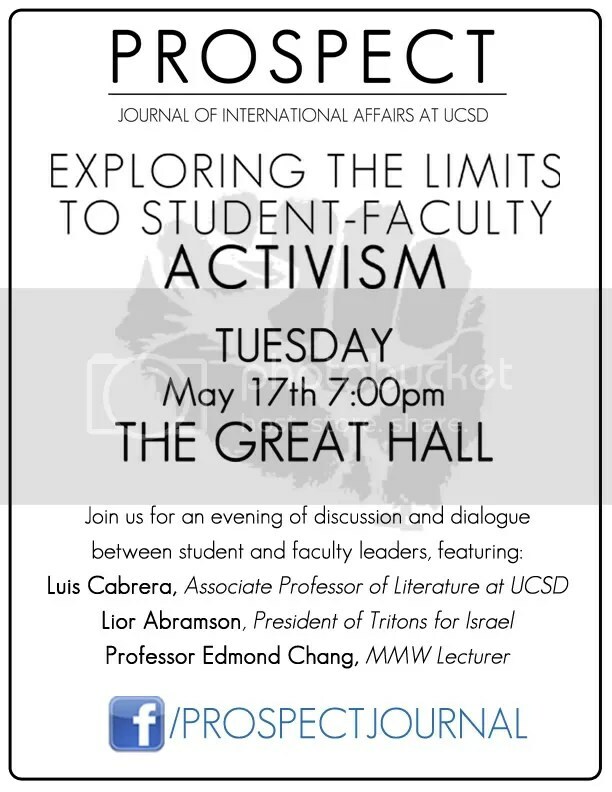 Join us for an evening of critical dialogue between faculty and student leaders as we explore the limits to faculty activism, especially in relation to student activism.